The company was founded as IFBE Institute for Professional Continuing Education in Hamburg in 1975. At the outset its focus was on the development of further training and re-training centers. In 1989 the Institute was re-named to COGNOS AG. COGNOS AG offers qualification opportunities to people and organizations. Our course portfolio and training programs allow our customers to recognize, build on and constructively use their own strengths. We are well aware of our particular social responsibility as an education provider. As a disseminator and multiplier of knowledge we place high demands on the standard of diligence and integrity. Success is the result we are focussing on jointly with our customers. We achieve this goal by ensuring that our offerings meet tested quality standards and by systematic development of new products. Our technical colleges offer many different educational areas – from health and education to chemistry and biology to economics and tourism. 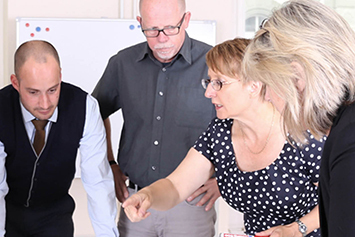 COGNOS AG is one of the largest private and independent education companies in Germany. 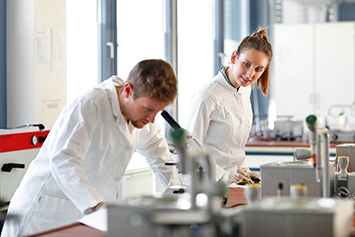 We operate technical schools, colleges and further education institutions in Germany and abroad. In addition, we are involved in other educational institutions. Currently the AG consists of 15 companies.